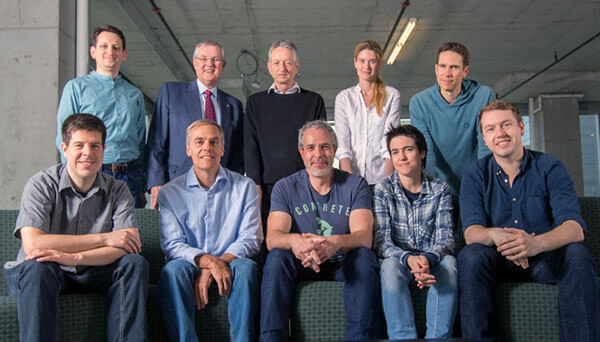 Vector Institute Founders (back row, left to right): Jordan Jacobs, Ed Clark, Geoffrey Hinton, Sanja Fidler and Tomi Poutanen; (first row, left to right): Roger Grosse, Richard Zemel, Brendan Frey, Raquel Urtasun and David Duvenaud. A team of globally renowned researchers at the University of Toronto is driving the planning of a new institute staking Toronto’s and Canada’s claim as the global leader in AI. The newly created Vector Institute for Artificial Intelligence will be based in downtown Toronto. Additional faculty members will become affiliates of the Institute. Government and industry founders include, Ed Clark, Business Advisor to the Premier of Ontario and Chair of the Board of Diectors, Vector Institute, and Jordan Jacobs and Tomi Poutanen, co-founders Layer 6 AI. As part of the Government of Canada’s Pan-Canadian Artificial Intelligence Strategy, Vector will share $125 million in federal funding with fellow institutes in Montreal and Edmonton. All three will conduct research and secure talent to cement Canada’s position as a world leader in AI. In addition, Vector is expected to receive funding from the Province of Ontario and more than 30 top Canadian and global companies eager to tap this pool of talent to grow their businesses. The institute will also work closely with other Ontario universities with AI talent. Vector’s formation is a dream come true for the U of T machine-learning group, says U of T Computer Science Professor Richard Zemel, who is also the institute’s research director.